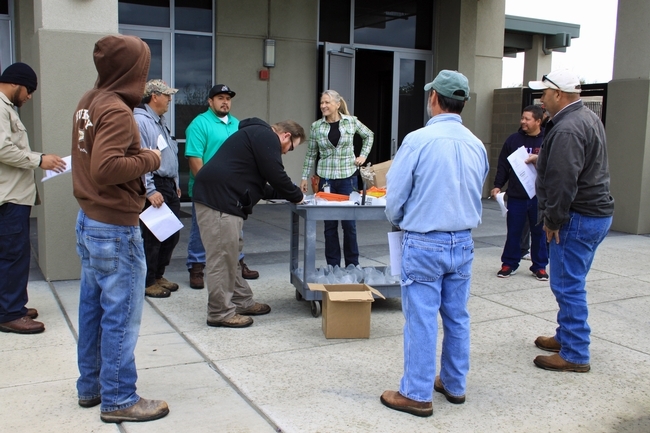 UCCE advisor Karrie Reid (center) with Green Gardener training participants in San Joaquin County. To become qualified as a Green Gardener, participants attend classes eight weeknight evenings and two Saturday mornings. The first module addresses the importance of healthy soil for healthy landscapes. UC Cooperative Extension scientists provide training on soil building, pest control and green waste management. The second module focuses on mastering efficient irrigation and conducting an irrigation audit. 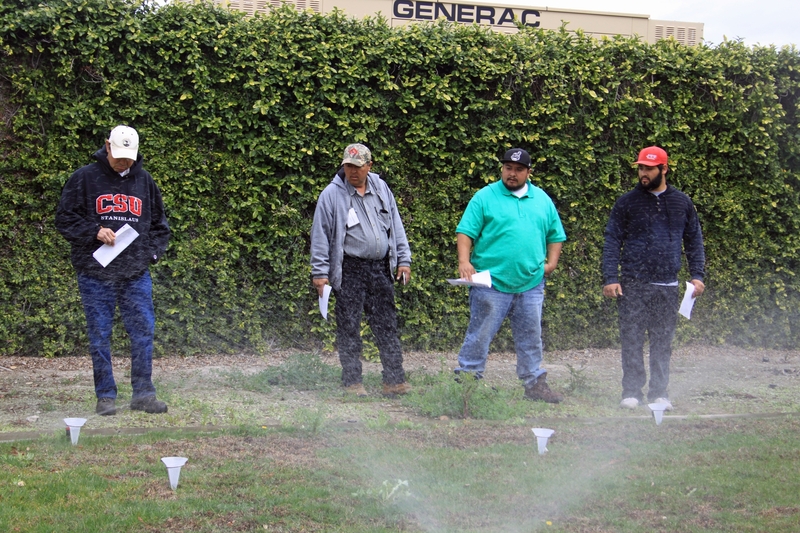 The final sessions focus on plants in the California landscape, including turfgrass, trees and shrubs. Because the Green Gardener program is partially funded by a dumping fee paid by residents to the county landfill, green waste management is a key component of the program. Beginning with Module 1, the Green Gardener qualification program is being held for the fifth time Jan. 16 to March 12, 2018. The registration deadline is Jan. 12. On the first day of an earlier session, a landscaper wondered aloud if the $90 fee and, particularly, the time commitment, would be worth it. “Well, I know the answer is that it was worth it,” he said. Qualified 'Green Gardeners' may use this logo in advertising. In addition to all the knowledge gained, after passing the class, the participants can place the Green Gardener logo on their advertisements and be added to the online list of qualified UCCE Green Gardeners. One Green Gardener, Jacob Wilson, wrote to Reid about a visit to a customer's property after a four-week break and found the lawn was significantly greener. As his customer made her way back to the house, Wilson said he was feeling more like a professional. Home gardeners aren't the only ones who can take advantage of the program. Reid has reached out to landscape professionals working in the county parks department and school districts. There are landscapers who tend apartment complex landscapes, commercial building landscapes, street medians and highway rights-of-way. “I successfully pitched the program to the Sherriff's Department for their grounds landscape personnel,” Reid said. 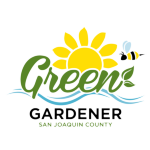 For more information, visit the Green Gardener of San Joaquin County website at http://ucanr.edu/sites/GreenGardener.